Our corporate wellness program is designed to enhance the wellbeing of your staff and management. Through stress-reduction interventions and education on healthy lifestyle, nutrition, mindfulness and preventive medicine, we will help your business to enhance the health, productivity and longevity of your staff. Our certified Health Coach will provide group health coaching seminars and workshops for your employees and/or individualized one-on-one private coaching sessions for your staff and/or management. The sessions include actionable steps your staff and management can implement immediately to improve energy, wellbeing and health, strengthen the immune system, reduce stress and decrease pain related to sedentary computer work. We have various topics that can be included as per our clients requests from Stress Management, Work-Life Balance, Optimizing Sleep, Healthy Nutrition In The Workplace, Weight Loss, Avoiding Sugar Cravings and Stress Eating, Lifestyle Changes to Boost Health and Energy etc. Our Health and Wellness Coaching sessions can also be combined with on-site chair and/or table massage sessions. This can include short chair massage sessions for each staff member to longer table massage sessions for specific employees or management. All our Corporate Health and Wellness Coaching and Massage services are tailored to your company’s specific needs as per our agreement. Pricing is determined by quantity and frequency of onsite Health Coaching sessions per year. Many studies suggest that a corporate health and wellness program is not only cost-effective but also improves employee happiness and productivity. 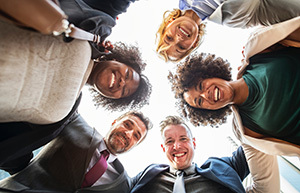 Employees who have the opportunity to partake in wellness programs are not only generally more healthier and active, but also feel more valued and connected to their workplace and coworkers. As per statistics, approximately 50 percent of Americans have at least one chronic health condition. Supporting your staff with a corporate wellness program that raises awareness about today’s growing number of lifestyle-diseases and incorporates preventive measures to improve their health will be of great benefit to both the company and employees.